There are literally hundreds of different species of mice living in the United Kingdom. 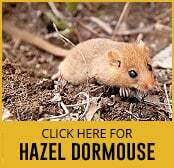 However, most of these mice live in remote areas and do not often come into contact with humans. Because of their shy nature, they are not considered pests. Here are the top three species of mice in the United Kingdom that should be removed with pest control if they are discovered in the home. 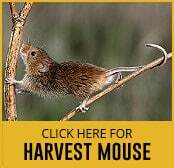 This species of mouse is also known as apodemus slvaticus and has sandy coloured or orange brown fur on its head and back. As the name suggests, the field mouse usually lives in fields. However, during the cold winter months it often comes into abandoned homes and other buildings in search of warmth and food. The apodemus slvaticus has an average lifespan of just two or three months, although it has been known to live for more than two years in captivity. Young adult males have a high fatality rate due to their aggressiveness towards each other. 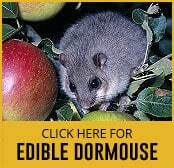 The field mouse eats a diet that mainly consists of seeds from trees such as beech, oak, ash and hawthorn. They also eat small snails as well as insects, especially in late spring through to early summer. This species is a particular pest to farmers, as they tend to attack freshly planted legume seeds and eat apples. If they find their way into barns and storage sheds they can be very difficult to get rid of. 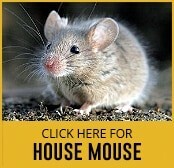 Many people assume that the house mouse, which is also known as mus domesticus, is only a problem during the chilly winter months. This species is actually active all year round and once they find an entry point into a home they can breed and spread very quickly. The mus domesticus can be distinguished from the brown rat by its small feet and head as well as its large eyes and ears. They typically weigh 12-30 grams and have gestation period of just three weeks, with the average female producing seven or eight litters of four to sixteen offspring each and every year. 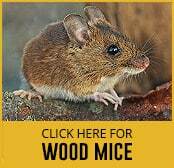 It can take just eight weeks for these mice to reach sexual maturity, meaning that they can quickly become a problem in a home or business. The house mouse usually lives underground in burrows, although it is a very good climber. It prefers a diet of cereals and typically eats three grams of food a day. This species is a particular threat in rural areas such as villages and small towns. 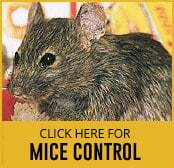 They are known to chew through electrical wiring, making the yellow necked field mouse a fire risk requiring pest control. Also known as Apodemus Flavicollis, this species is around 95 to 120 millimetres in length, with a tail that can measure an additional 110 millimetres. The Apodemus Flavicollis can be distinguished by its large ears and protruding eyes, while they have a distinctive band of yellow fur that runs all the way around their necks. 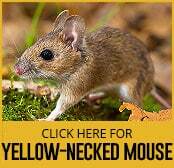 The yellow necked field mouse breeds from March until October and although they have a short gestation period and large number of offspring, they rarely live more than a year.